With her Notorious Dames collection, Helen Mclean has created a dark and intoxicating landscape of fast cars and fast women. 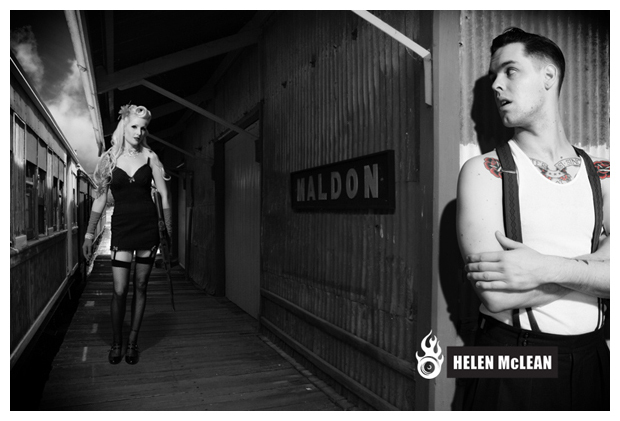 Helen, who is a Melbourne based photographer, was inspired by vintage film noir style such as Sin City. An interesting twist is that she’s shot the models in the studio, with the landscapes and cars being photographed seperately. The elements have then been grafted together in post production. To see more of the Notorious Dames series, click here to visit Helen’s website. The good news is she’s now working on a follow up series, this time with muscle cars – sweet!